Trailer and poster for the epidemic thriller. Face of Evil, now available on VOD and DVD from Gravitas Ventures, stars horror icon Jamie Bernadette, along with Scott Baxter, Chad Bishop and Janet Roth. 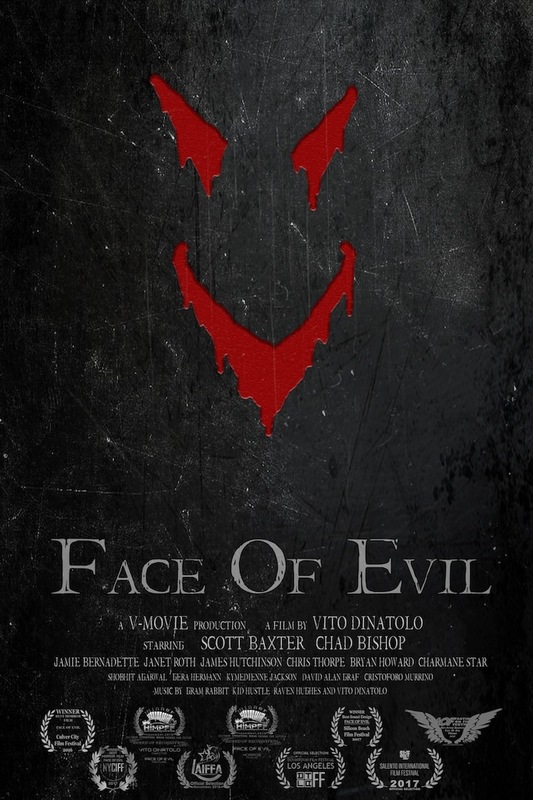 Directed and written by Vito Dinatolo, Face of Evil tells the story of a deadly epidemic that begins to infect the guests at a 4th of July party.